Richard “Rick” Lamprecht has been a leader of apartment development in the top California markets for the majority of his career. His most recent position was Executive Vice President, Western Investments for Archstone, a national owner and developer of multifamily properties. Rick was responsible for all apartment development activities in the western United States. Prior to joining Archstone, Rick founded REL Property Consulting, specializing in providing advisory services to owners and investors that develop and acquire multifamily housing. The majority of Rick’s career was spent at The Irvine Company, one of the leading master planning and development companies in the nation, where – for more than two decades – he was responsible for all apartment development activities. Under Rick’s leadership, the apartment development group was successful in entitling and developing approximately 27,000 apartment units in more than 50 properties in nine California jurisdictions in Orange, San Diego, Santa Clara and San Mateo counties. 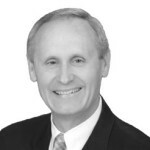 Rick has a Masters Degree in Accounting from Brigham Young University and began his professional career as a CPA for Deloitte, Haskins & Sells in 1984.